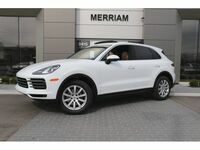 The Porsche Cayenne is an elegant luxury vehicle with no-holds-barred performance and stunning good looks. This model offers the practicality of five-passenger, midsize crossover dimensions with the beating heart of a sports car. Whether drivers choose the base Cayenne, or the S, Turbo, or E-Hybrid models they can be sure of premium luxury and performance. 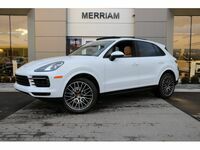 The 2019 Porsche Cayenne in Merriam KS near Kansas City MO represents the third generation of this elegant vehicle. Each model comes standard with elite luxury and cutting-edge technology. Features like the Porsche Connect App and Apple CarPlay are available to offer more connectivity, while enhancements to the suspension and handling offer a smoother and more satisfying driving experience. 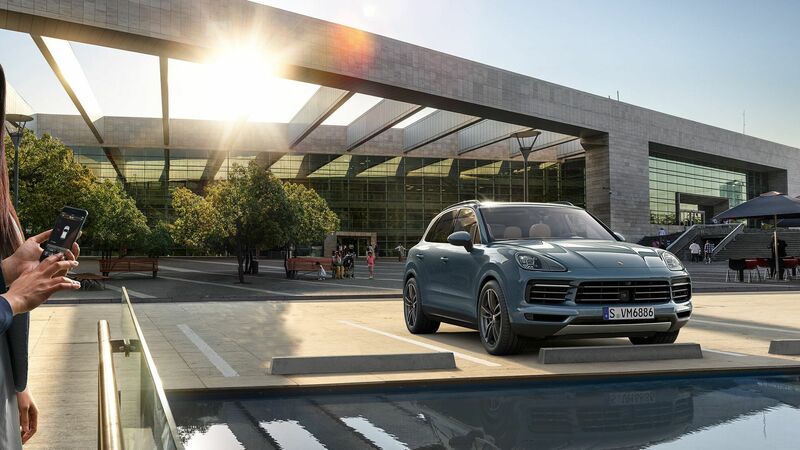 The 2019 Porsche Cayenne offers up to 60.4 cubic feet of cargo space with the rear seats folded down, or 26.3 cubic feet with them up. The rear seats also fold in a 40/20/40 ratio for top versatility when transporting people and cargo. 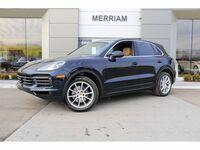 No matter which model drivers choose, the 2019 Porsche Cayenne in Merriam KS delivers premium power. The base model comes standard with a front-based turbocharged 3.0-liter V-6 rated for up to 335 horsepower and 332 pound-feet of torque. This powertrain goes from 0-60 mph in 5.9 seconds, and has a top track speed of 152 mph. 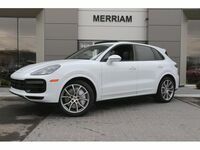 The 2019 Cayenne S has a twin-turbo 2.9-liter V-6 that offers 434 horsepower and 406 pound-feet of torque, while 2019 Cayenne Turbo come with a twin-turbo V-8 rated for 541 horsepower and 568 pound-feet of torque. This last engine can burn from 0-60 mph in just 3.9 seconds. 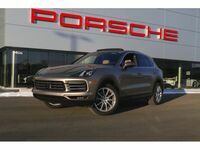 While power and performance can be a major draw for the 2019 Porsche Cayenne, there are other driving advantages on this model that are new for the 2019 model year. Staggered tire sizes are available for the first time, and new tungsten-coated iron brake rotors are now available on the 2019 Porsche Cayenne Base and S model. An adaptive air suspension and rear-axle steering are both available. 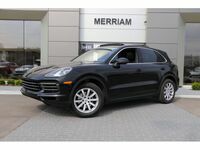 Would you like to learn more about the third-generation Porsche Cayenne now available here at Porsche Kansas City located in Merriam KS? 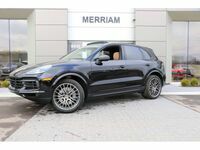 Contact a member of our team today or request more information on the 2019 Porsche Cayenne below. 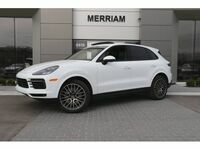 Interested in a 2019 Porsche Cayenne?